If the object you want to put inside the box weights a lot, we recommend you not to choose this pack, because its resistance is limited. It’s important you fold the grooves before assembling any box. With an optimal folding, boxes look much better! In boxes with band, it’s aesthetically important to be careful that the union point, where glue is applied, isn’t visible: in the back part of the pack and face down. Be careful, light coloured cardboards (quartz) can be stained easier than other colours. We recommend you to cut the ribbons in the ‘desviage’ technique (leaning cut). When placing a custom printed order on our website, and accepting the following Commercial Conditions, will come to a binding agreement on both parties. Please find below the Commercial Conditions for custom orders printed orders. We also suggest checking General Conditions. The company will describe some possible changes in the printing depending on the chosen color of the box. We can not guarantee that the colors displayed on the screen correspond exactly to the products you will receive. to the stipulated delivery period, which is 5 working days for the production of the boxes + delivery time. 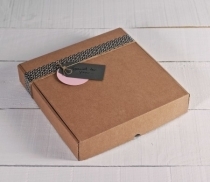 When you purchase a printed box choosing Priority service, it's not a guarantee that you'll receive the order sooner because the time of production will depend on our printing house. A. CUSTOM PRINTED ORDERS CAN NOT BE RETURNED OR CANCELLED. The customer will liable for the order once confirmed and they should accept the delivery. For custom printed orders, we won’t be liable for the customer’s design uploaded on the website. Our boxes are manufactured on request. That’s why on orders over 50 boxes, you’ll see that the price per unit increases. However, if you purchase more boxes, the price per unit will be reduced. The format of your images must be .JPG, .GIF, .PNG or .TIFF. These formats will allow for great quality results as long as the following advice is followed. When you add the design, you are responsible for the content not leading to copyright infringement, make sure you have the right to use these images. Files must be sent in RGB. Images in CMYK or Pantone colours will be converted to this profile automatically. Your image must be at a resolution of 300dpi, and mustn't go over 5MB. So as to cover the full printing area we advise you to use images that are the same size or bigger than the printable area. If not, your image may turn out blurred or pixelated. You can make your design directly in the configuration panel and choose whether you want to add text or an image (one of the 2 options). The measurements of sticker labels vary according to the size: in the configuration panel preview, you will be able to visualize the measurements of each label depending on the size of the box you have chosen. - Sticker labels are printed on laminated matte plastic. This high quality material is more resistant than paper and allows the stickers to be removable. - Non-printed sticker labels are delivered in matte paper, so you can write on them without inconvenience and with any kind of pen or felt-tip-pen. These labels are non-removable. When you create a sticker label (printed or otherwise), the same amount of labels as you have chosen for the boxes will be added to your shopping cart. This amount can be modified later in your order overview screen. 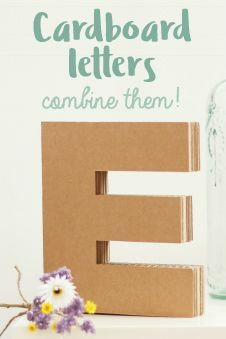 Write on the tags and add a handmade touch to your gifts. HOW DO YOU WANT TO DESIGN YOUR BOX? 2. The boxes in dark colours will only be printed in white ink. Your images will become a white bitmap. Take into account that the very light white or coloured parts will disappear when doing the conversion into a bitmap. The best thing to do is to upload the image, put it in its place and wait a little for it to be automatically transformed (if this doesn’t happen, click “save”) and then you can see the end result of how your box will be printed. Tip: if your logo is white, make it black before uploading it and then it will show up correctly! 3. You can only buy a design using the reference or size. If you want the same box with two different designs, you will have to make two separate orders. 4. If you have issues viewing the colours, the virtual design model isn’t showing properly etc... try updating your browser. It is advisable to log in as a user so that we can save your design and you can get it back whenever you want. Be careful! If your image has a background, the box will be visible when the box isn’t white. When you have the face ready, click save and select the next face with the buttons on the top. 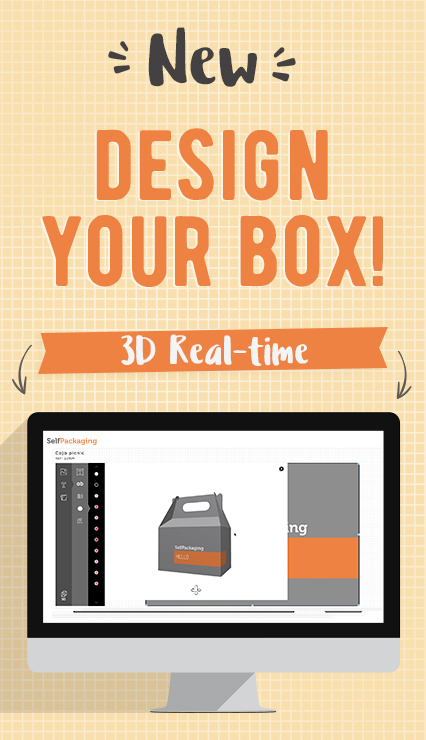 In the 3D format you will be able to see what your box looks like once it is printed! Once you have finished the design, click “save” again, close the window using the x in the top right and add your boxes to the trolley. Finish the shop and wait a few days until they arrive!!! The colours may vary depending on the configuration of your screen and the colour of the paper that you have chosen. If you need more than 250 units , please get in contact contactwith us. If you select this option, a graphic designer will check your files to make sure that the resolution and the visualization are correct. 1 small piece of cardboard in the colour you chose. We are sure you are going to love them! You ordered a sample with these features. Thank you. You ordered too many samples, maximum 5 samples per order. Thank you. 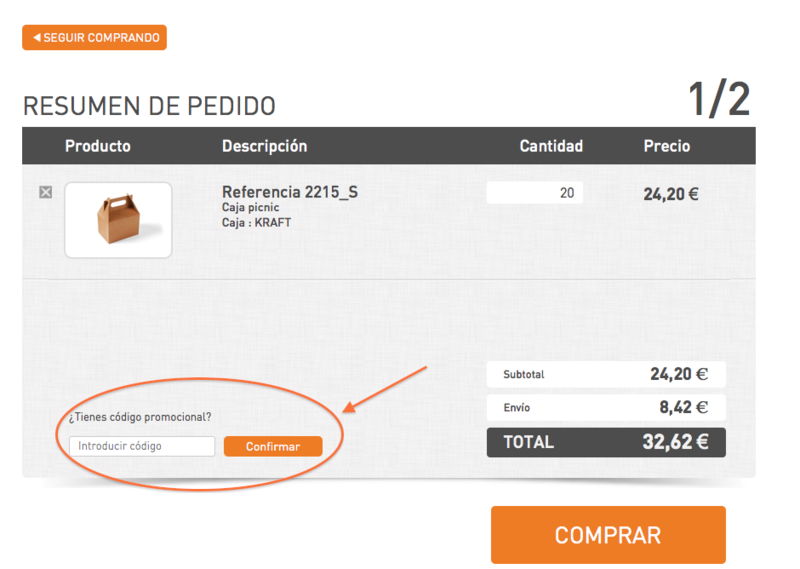 The money you spend on your samples now will be compensated in your next order. Once you have paid for your samples we will issue a discount code for each sample (not including the cost of the postage but for the amount you pay for each sample you buy, regardless of what your final order is) which you will be able to use in your next purchase. You will be able to see these codes in the final page of your order and you'll always be able to access them from your user account, in the "My vouchers" section. Exchange your discount code at checkout in your next purchase, as shown in the image below. This section is for the professionals. If you know about design and printing specifications you can download our template with specific cut lines and create your design in your favourite programme. When you've finished your design upload a print-ready PDF file here. 2. READ the attached instructions. 3. PLACE your design on the cut line you've downloaded and save it according to our specifications. 4. UPLOAD your design in this window. I confirm that the file I have uploaded has been set up in accordance with Selfpackaging specifications and instructions, and I understand the liability policy* relating to this file and the final result. *Selfpackaging is not responsible for designs which do not adhere to these specifications. As this option is for professional use we will not make revisions or modifications to designs we receive in any circumstances. Any issues with resolution, scale, colour etc. will be the responsibility of the customer. 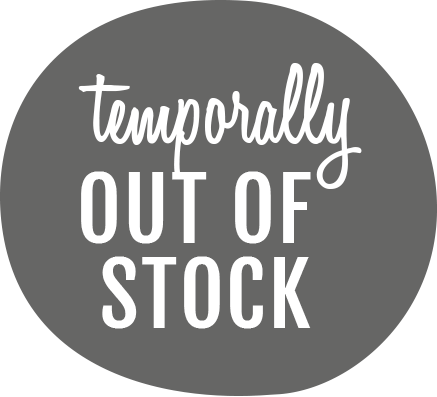 Please note that we will not in any circumstance allow returns for customised items. VERY QUICK POSTING and the packaging is just as described. Highly recomended! Great box. Sturdy, nice look and good for shipment. No complaints. Exactly what I was looking for. Arrived safely and on time. Thank you. This pizza box is made of a thick cardboard with great resistence. It does not need any type of adhesive and it is easy to mount. Use it for shipping any kind object or gift. What is this box like? What is this box for? 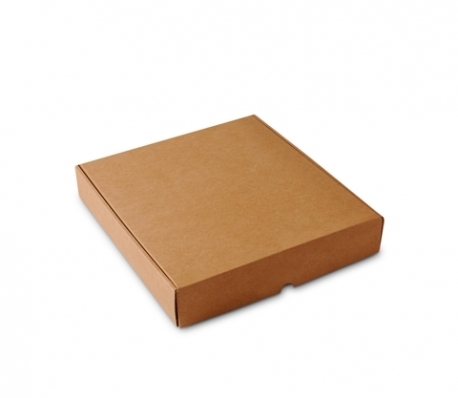 It is ideal as a shipping box, for being made of carboard with great resistence. 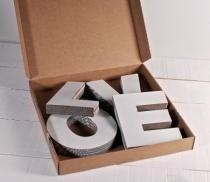 It is available in 3 different sizes, for what you can use it for shipping gifts with different dimensions. It is a resistant but pretty box because of this it is perfect as a box for handmade artworks and handmade art work shops. 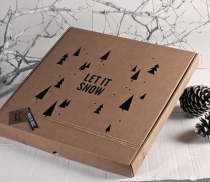 You can also decorate it and use it as an original gift box. It is a simple but surprising wrapper! 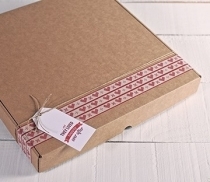 The pizza boxes were not 'thick' cardboard as described on the web site; they measure 1.5mm.